The inventor of the first cell phone thinks that someday we’ll all have tiny computers implanted behind our ears instead of phones. He also thinks apps are terrible. 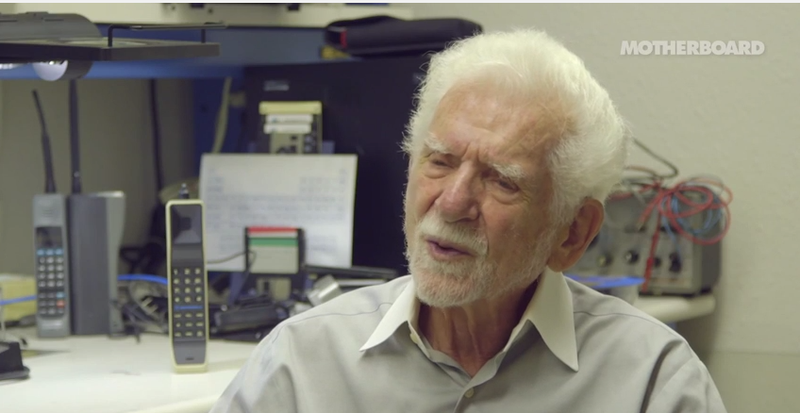 Motherboard interviewed Marty Cooper, the 89-year-old creator of the Motorola DynaTAC 8000X, which was the first handheld mobile phone—and Cooper made some bold predictions about the future of mobile technology. The whole video is terrific, and Motherboard has some more background on Cooper’s days as a mobile pioneer here.